The circular walk will cover about 3 miles. It will start at 2.00pm in Seaton Delaval Hall car park and finish around 4.30pm. The route will be generally flat walking across fields, public paths and pavements, but here are a couple of stiles and a sequence of steps. 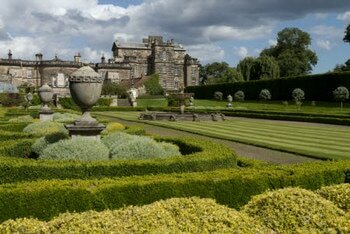 Take a walk through the Vanburgh landscape which surrounds Seaton Delaval Hall and then on down to the sea. Walk across Dairy House fields and view the obelisk of the Hall pleasure grounds and a mausoleum built in 1777 by Sir John Hussey Delaval for his son John. Walk down the Old Wagonway, used to carry coal from the mines in the area to Seaton Sluice. And then down by the sea, see where in 1764 brothers John and Thomas Hussey Delaval created a sluice to form a dock where ships could be loaded, and the remains of Starlight Castle, built within 24 hours for a wager of 100 guineas! 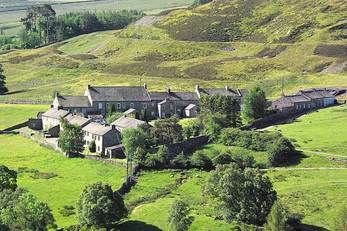 A circular walk of around 4.5 miles from Langthwaite, Arkengarthdale, near Reeth, in the Yorkshire Dales. Meet in Langthwaite pay and display car park at 1pm. (DL11 6RE approx). This walk will take in many relicts of the great lead mining industry which once took place in this part of the Yorkshire Dales; hushes, derelict buildings, flues and chimney’s. There are some steep ascents and good walking shoes are recommended. The Swaledale Festival takes place between the 27th of May and 10th June (http://www.swaledale-festival.org.uk/) the day of the walk the following are programmed, if you are interested in combining a walk with some evening music. VOCES8: 19:30 at St Andrew's Church, Grinton. Globetrotting vocal group with a delicious programme spanning six centuries - from Palestrina and Purcell to Simon and Garfunkel. Muker Silver Band: 19:30 at Muker Public Hall. Historic and popular silver band from Upper Swaledale, conducted by Dr Duncan Bythell. ​The walk will cover about 3 miles. It will start at 1.00pm in the Market Place and finish at around 4.00pm near the tea room. The walk is straightforward, on well-maintained paths, but there are some gradients. The Gibside Estate, as we see it today, was largely created by one of the country’s richest men – George Bowes (1701-1760). George’s wealth came from the coal beneath his estate, and he created his landscape garden in the thirty years between 1729 and 1760. 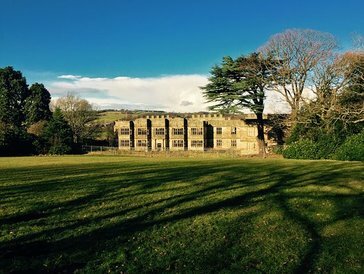 On the walk we will discuss how the Bowes family came to acquire Gibside , how it became one of the show-pieces of the North of England and how, within a century , it began a long decline, culminating with widespread Forestry Commission conifer planting. Fortunately the National Trust stepped in and has pulled the estate back from the brink. It is now one of the Trust’s most visited sites in the region. This website does not necessarily reflect the views of the National Trust, which is a separate entity.